TOGETHER FOR YES has called on the government to pass legislation allowing for the terminations of pregnancies by the summer. The government has said it plans to provide for abortions by the autumn, but there’s a short timeframe to do so as the Dáil is scheduled to break for the summer from 12 July. 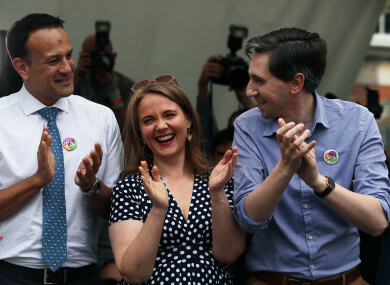 “I certainly think that all of our TDs and senators should really consider a special sitting so that it could be progressed through the summer,” Orla O’Connor said yesterday. Do you want special Dáil sittings during the summer to pass abortion legislation? Email “Poll: Should there be Dáil sittings in the summer to pass abortion legislation?”. Feedback on “Poll: Should there be Dáil sittings in the summer to pass abortion legislation?”.